Articles inspired by the most recent FAM trip are just starting to appear in six of Brazil’s most important media dedicated to tourism, luxury, nature and travel. Together they’ve already generated over one and half million impressions. Brazil is a very important potential market for the Riviera Nayarit because of its high purchasing power in the tourism segment. 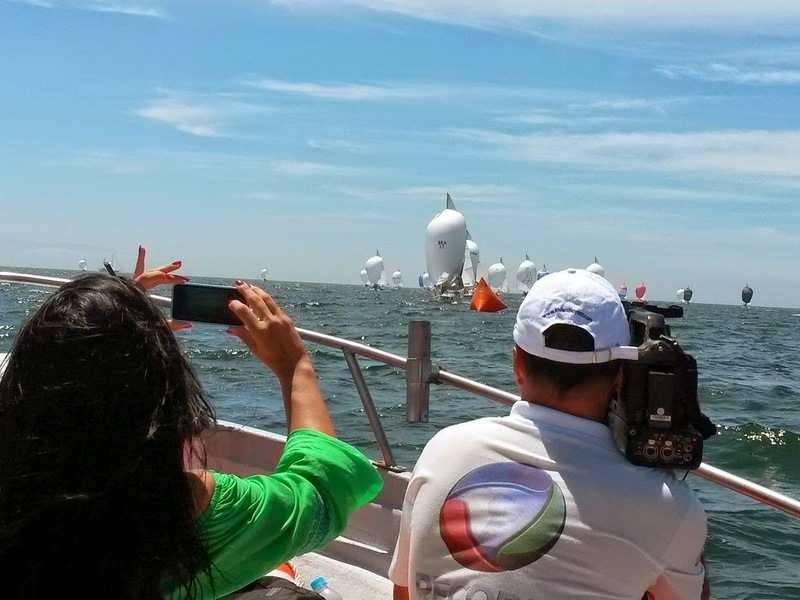 With this in mind, the Riviera Nayarit Convention and Visitors Bureau (CVB) took the opportunity to invite top members of its press to enjoy the Mexico Cup Regatta as part of a FAM trip. On the list were six of the most important media dedicated to tourism, luxury nature and travel in Brazil: Revista L’Officiel, Revista Isto é Platinum, Blog Falando de Viagem, Revista Joyce Pascowitch, IG and Revista Nova. The trip, which took place mid-March, is already displaying results and placing the Riviera Nayarit as Mexico’s newest luxury destination. The media has been already been broadcasting details on accommodations, the Marietas Islands, Sayulita, San Pacho, Bucerías, Punta de Mita, Nuevo Vallarta and La Cruz de Huanacaxtle. They've also alluded to the many celebrities that have visited the region, among other details. Including the press runs, unique visitors to webpages plus blog and social media followers, the sum total of the impressions received is over a million and a half impressions—indeed very favorable exposure for the Riviera Nayarit. And this is with a single publication from each of the different media. One of the first to publish about the Riviera Nayarit was IG, with more than 90 thousand visitors per month; Falando de Viagen alone offers more than half a million impressions among its many distribution channels. The journalists reviewed every aspect of the tourism services offered by Mexico’s Pacific Treasure, from swimming with the dolphins to enjoying the unique culinary delights of this region and relaxing at the Spa. The various promotional, marketing and public relations strategies implemented by the Riviera Nayarit CVB all have the same objective, one that is fast becoming a reality: to place the Riviera Nayarit as Mexico’s newest luxury destination.